...that Miranda Keyes has a seven engraved in her cheek? RG-63 Counter is manufactured by Imbrium Machine Complex. 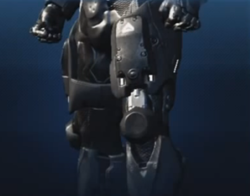 These legs were developed based on intel from the Harvest campaign. There is a PRIME skin related to Recruit armor. There is a FOREST skin related to HAZOP armor.